How do I setup scheduled backups in SQL-RD? 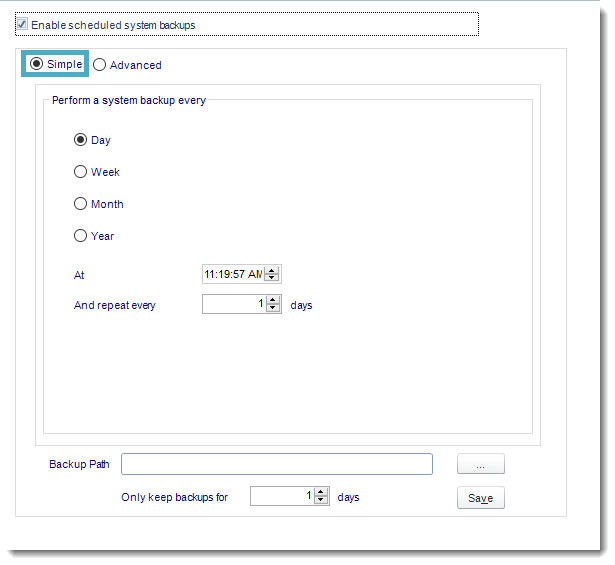 Use the Schedule Backup option to set up automated system backups. 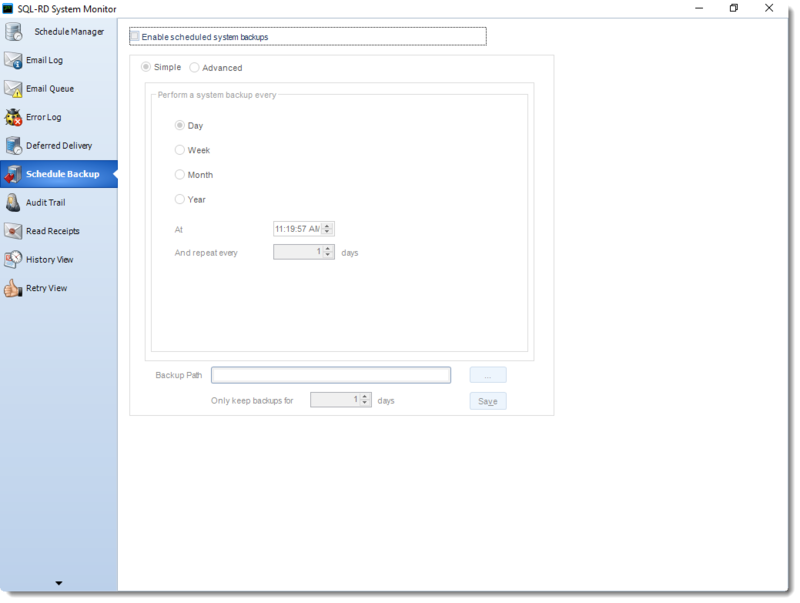 You can enable or disable automatic system backups. 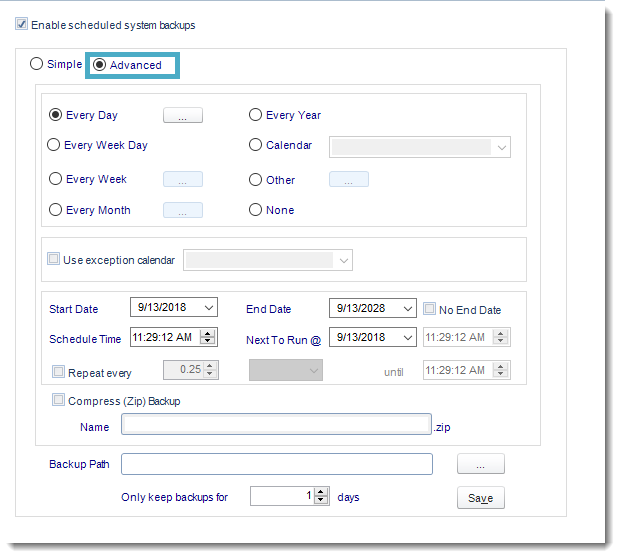 As much as is possible try to schedule backups at times when you do not have schedules running. This is important as backups may cause delays to your schedule execution.